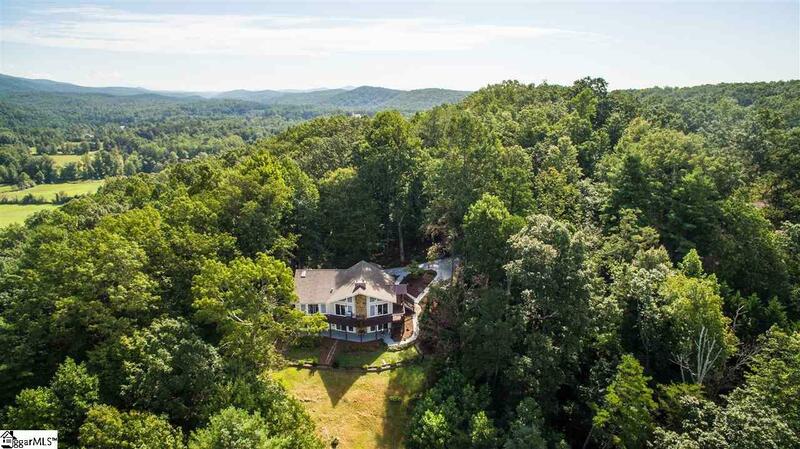 Style, serenity and privacy resonate harmoniously with nature in this mountain gem. 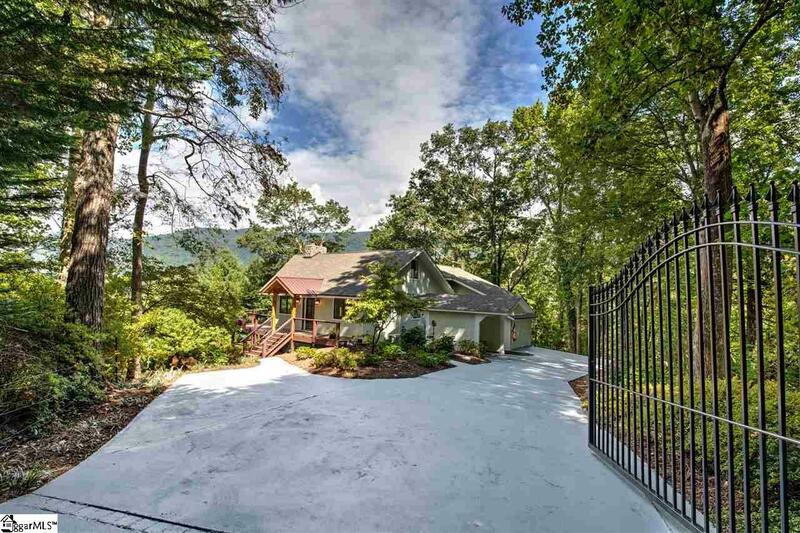 Located just off Scenic Highway 11, at the edge of state parkland, beneath majestic oaks and behind an impressive gate, these six acres afford perfect seclusion and unsurpassed mountain/lake views. 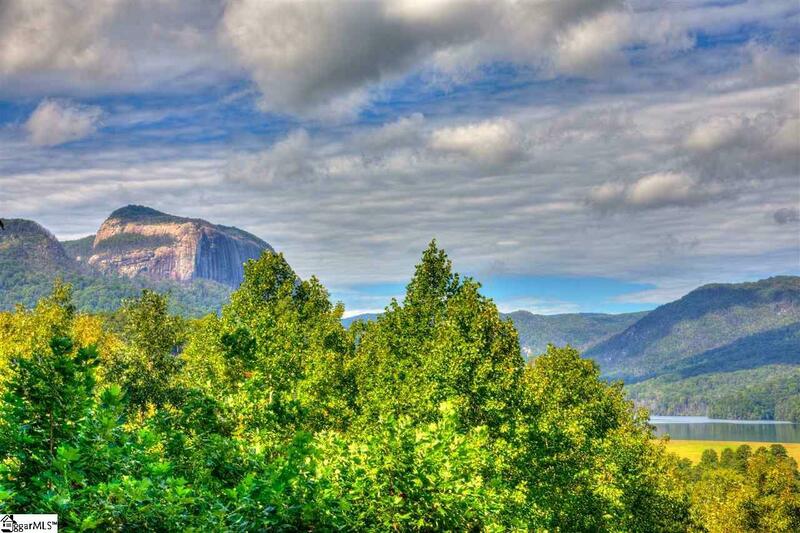 Jaw-dropping vistas from the home feature the granite face of Table Rock, towering above the pristine reservoir at its foot. 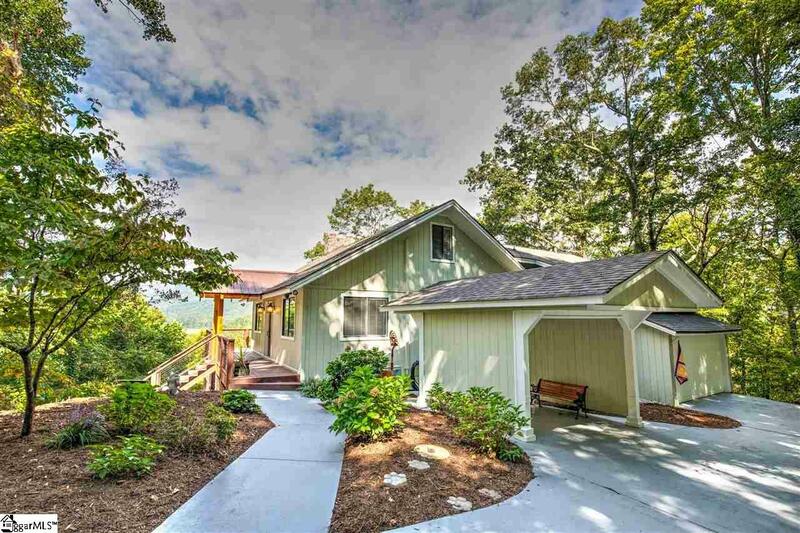 Beyond its estate entry and timber-framed entry porch, the 3 (or 4) bedroom, 3 bathroom house has recently undergone an extensive renovation worthy of an HGTV spotlight. Bright, open living areas create a symphonic composition of design features, including scraped oak floors, a dream of a kitchen, exquisite butlers pantry/wet bar, lofted office/studio, unique lighting and plumbing fixtures, open shelving and custom cabinetry, granite, glass and subway-tiling accents, Italian brick herringbone floor, barn doors, teak trough sink, second full kitchen, bright and spacious lower level and loads of storage space. Lovingly designed, tastefully executed and sublimely situated, this property elicits expressions of delight at every turn. Offered by Justin Winter of Justin Winter Sotheby's Intl. Listing provided courtesy of Justin Winter of Justin Winter Sotheby's Intl..